CINECONCERTO NASCE NEL 2016 A MONTECAROTTO, NELLE MARCHE. DA UN’IDEA DEL SUO FONDATORE ALESSANDRO CHIATTI, ISPIRATO DAL CINÉCONCERT FRANCESE, PARTE IL PROGETTO. 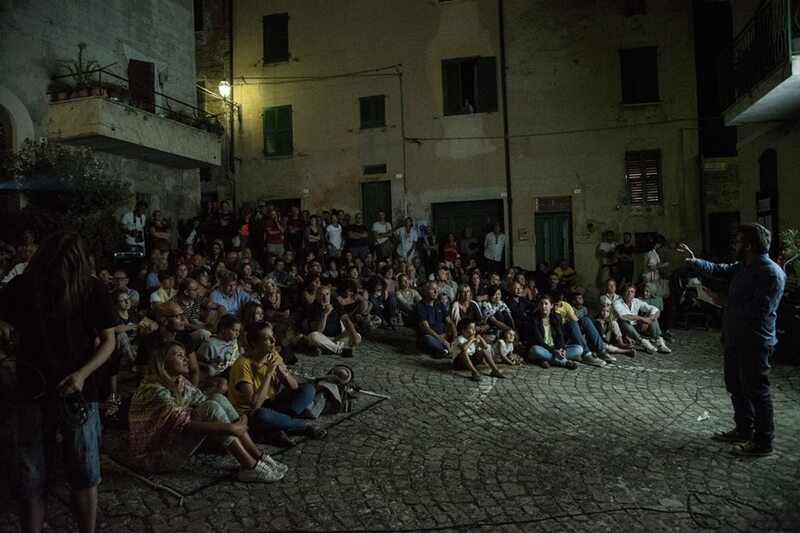 SI CREA UN GRUPPO, L’ASSOCIAZIONE CULTURALE 13 GRADI EST, MOSSO DALL’ISPIRAZIONE ARTISTICA E DALLA VOGLIA DI VALORIZZARE IL PAESE E IL BELLISSIMO TEATRO. CONVINTI CHE L’ARTE POSSA ESSERE UNO STIMOLO, UN ELEMENTO DI SPERIMENTAZIONE E DI AGGREGAZIONE, L’ASSOCIAZIONE HA CERCATO, CON LE VARIE EDIZIONI DEL FESTIVAL E LE STAGIONI TEATRALI, DI COSTRUIRE UN LUOGO DI PENSIERO, DI RICERCA, DI CONDIVISIONE E COMUNITÀ, INTORNO A CINECONCERTO. UNA PROPOSTA NUOVA, ARTISTICA MA PRIMA ANCORA PERCETTIVA E UMANA, DI ASCOLTO E VISIONE DELLA REALTÀ. 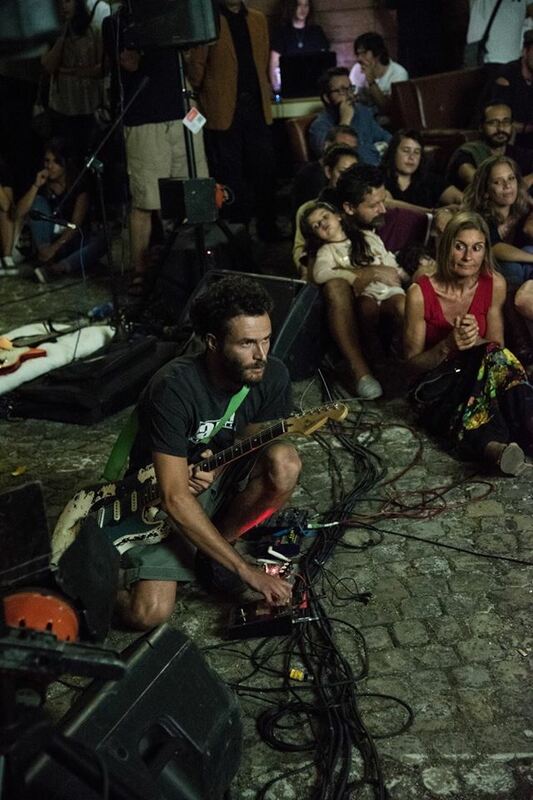 NEGLI ANNI, NEL PICCOLO BORGO DI MONTECAROTTO, HANNO GIRATO PER LE VIE ARTISTI LOCALI E INTERNAZIONALI CON UN VISSUTO, ED EMERGENTI PIÙ ORTODOSSI O SPERIMENTALI. E ALLO STESSO TEMPO CINECONCERTO HA INTESSUTO LEGAMI, CONTATTI E AMICIZIE IN TUTTO IL MONDO. QUESTA VISIONE ACCOMPAGNA CINECONCERTO DA SEMPRE E VUOLE ESSERE CONDIVISA CON TUTTI, DAL PUBBLICO AGLI ARTISTI, AI PARTNER, AL TERRITORIO, DALLE ISTITUZIONI, ALL’ARTE TUTTA. STORICAMENTE, IL CINE-CONCERTO È UN GENERE DI SPETTACOLO CHE ASSOCIA LA PROIEZIONE DI UN FILM, CHE PUÒ ESSERE MUTO MA NON NECESSARIAMENTE, E L’ESECUZIONE DI MUSICA DAL VIVO. È UNA TIPOLOGIA DI MANIFESTAZIONE ARTISTICA CHE AFFONDA LE SUE RADICI NEL CINEMA MUTO (1894-1929), CHE SI CARATTERIZZAVA PER L’ACCOMPAGNAMENTO DELL’ORCHESTRA SINFONICA, CHE ESEGUIVA PARTITURE ORIGINALI DI MUSICISTI SPECIALIZZATI NEL GENERE (COME LÉON MOREAU, PIETRO MASCAGNI, SERGUEÏ PROKOFIEV, CHARLIE CHAPLIN). VIA VIA DIVENNE SEMPRE PIÙ RARO IL RICORSO AD UN COMPOSITORE E SOLO ALLORA L’IMPROVVISAZIONE AL PIANOFORTE SOSTITUÌ L’ORCHESTRA CHE INTERPRETAVA UNA PARTITURA. NEGLI ANNI ’70 IN FRANCIA SI ASSISTE A UNA SERIE DI ESPERIMENTI DI VARI SOGGETTI COME COMPLESSI MUSICALI (UN DRAME MUSICAL INSTANTANÉ), ENTI (INSTITUTE LUMIÈRE, CINÉMATHÈQUE DE TOULOUSE) E INIZIATIVE, CHE TENTANO DI REINTERPRETARE IL CINEMA MUTO E CONSEGNARE ALLE NUOVE GENERAZIONI LA SUA STRAORDINARIA MODERNITÀ IN UNA CHIAVE INEDITA. IL GENERE, IN VOGA IN FRANCIA DAGLI ANNI ‘90, SI ESPLICA IN UNA SERIE DI FESTIVAL, EVENTI, MANIFESTAZIONI, CHE NORMALMENTE CONSISTONO NELL’ESECUZIONE MUSICALE CHE ACCOMPAGNA I FILM IN CINEMA E TEATRI, REINTERPRETANDO LAVORI CELEBRI DEL CINEMA MUTO, MA ANCHE CAPOLAVORI DEL CINEMA MODERNO. CI TROVIAMO DI FRONTE QUINDI A UN TIPO DI ESPRESSIONE ARTISTICA ESTREMAMENTE VIVACE ED ECLETTICA CHE CONSENTE DI RIVEDERE E RIELABORARE LUNGO-MEDIO-CORTOMETRAGGI, ORIGINALI O MONTATI IN MANIERA CREATIVA, ACCOMPAGNATI DA MUSICA D’ISPIRAZIONE ROCK, JAZZ, CLASSICA E MODERNA.